Concerns over the risks posed by mold in South Florida and the spores it produces have skyrocketed in recent years, and for good reason. 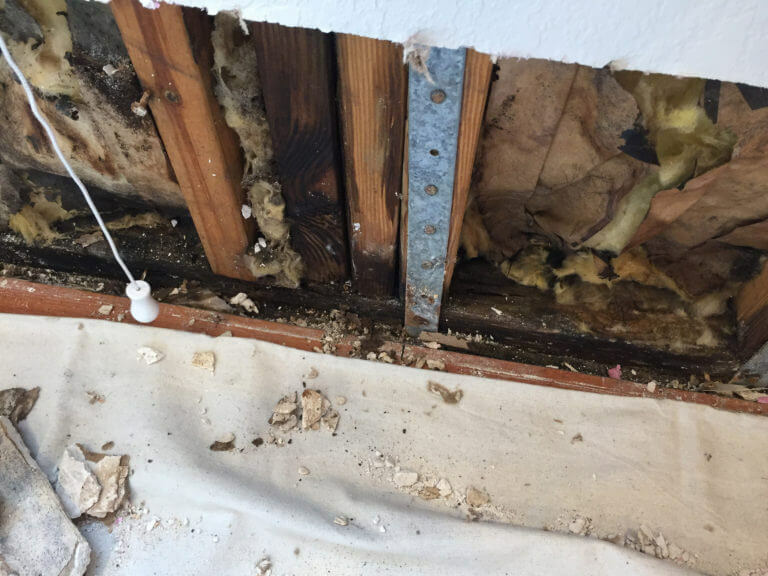 In the relatively recent past, damage resulting from mold was typically covered as a tangential issue when combined with other types of property damage, including floods, storms, or plumbing mishaps. And these factors, combined with common mold, South Florida weather conditions, and insurance carrier apathy can quickly combine to create lasting issues that require costly resolutions. Today, however, we understand that mold damage is not a tangential issue, or one that should be addressed for purely cosmetic or even structural reasons. As our scientific understanding of the impact mold can have on the health and well-being of those that come into contact with it (often unknowingly) has increased, so has public awareness on the matter. This in turn has resulted in improvements in the clean-up and removal of mold, improvements designed to minimize the negative impacts mold has on human health. These changes, however, have also resulted in a troubling trend. Because improvements to mold removal have become more complex and costly, and the hazards posed to the workers completing them are better understood, some insurance carriers have tried to reduce or even conceal their obligations to policy holders as they relate to mold removal and prevention. Mold in South Florida poses not only health risks, but can also severely damage properties structurally. In some cases, mold can even be the primary reason for a building to be condemned. While it is always helpful to involve the services of a claims adjuster when navigating the complex world of insurance claims, mold is a particularly tricky circumstance. There are, of course, types of mold that are less harmful and circumstances under which it poses little danger. That being said, however, assessing mold types and the dangers they pose in various situations are tasks that require professional intervention. Nor should your insurance company alone be considered an authority on the subject. Whether a carrier downplays the dangers posed by mold for unethical reasons or out of ignorance, the result is the same: you are at risk of developing serious health complications, and you may also find yourself held responsible for others’ exposure to mold on your properties. The takeaway? Mold should always be addressed by professionals. A professional public adjuster can help you understand the risks and obligations involved if you find evidence of mold on your property, and can guide you through the necessary steps to address the problems, including a professional inspection and communicating effectively with your carrier. Click here to schedule your free mold damage inspection today. The CDC describes molds as fungi, which can be found both indoors and outdoors, and which reproduce using spores—special cells that are extremely resilient to conditions under which mold may not normally grow. What this means is that when conditions allowing the spread of mold do present themselves, mold can quickly establish itself and can be very difficult to effectively control. The most common indoor molds are cladosporium, penicillium, alternaria, and aspergillus. The health risks posed by mold in South Florida vary based on the type of growth as well as the risk factors of the individuals exposed to the fungus, as well as the extent of the exposure. Respiratory symptoms like difficulties breathing and clogged nasal passages are some of the most common reactions. Eye and skin irritation can also result from exposure to mold. People may also possess severe allergies that impact their reactions to mold exposure. In occupational settings, and in settings where there are significant amounts of mold, seen or unseen, reactions can become very serious. Fevers, shortness of breath, or even internal infections, like mold growing in the lungs, can result from exposure. While molds can cause wheezing, coughing, and upper respiratory tract infections in otherwise healthy people, they are even more dangerous for people with pre-existing health conditions like asthma and immune system complications. Asthma attacks and pneumonitis both have documented links to mold. Mold exposure may even play a role in the development of asthma in young children who have not previously exhibited symptoms. Mold lives and grows by feeding on the surface on which it is found. It breaks down organic materials and can even cause damage to other building materials due to its mere presence. Dry wall, wooden structural materials, paper backing, and even carpeting can be irreversibly damaged by mold. The more the mold spreads, the more costly and difficult its effective removal will be. Mold isn’t only a risk structurally. It can also cause property damage and spread into heating, ventilation, and air conditioning systems. Not only does the presence of mold in your ventilation systems result in greater human exposure to the fungus, these systems also provide mold with a gateway to otherwise inaccessible areas of the home where it may spread more easily. Clearing these systems of mold requires professional inspection and cleaning, and if mold is allowed to spread, successful cleaning can become impossible, leading to the need for costly replacements. Mold infestations are almost always linked to issues related to water intrusion. 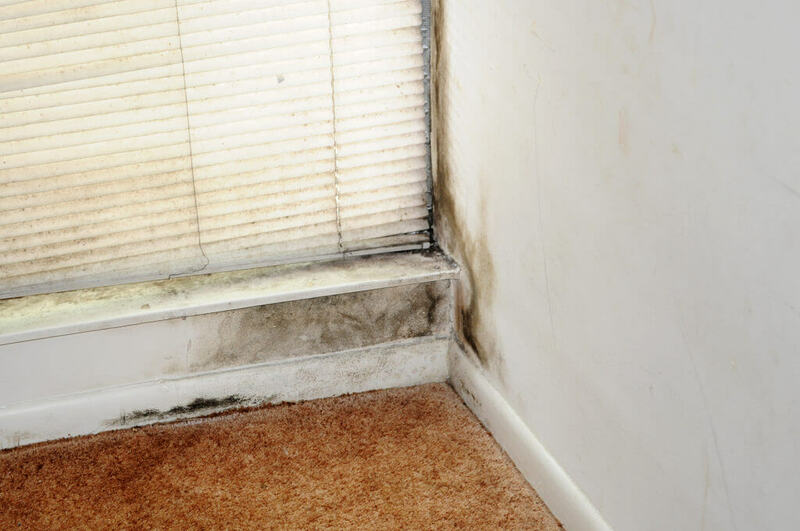 Leaks, flooding, humidity, and excessive moisture left unaddressed will always, under the right conditions, result in the proliferation of mold. If you have any of the above issues, have visually identified the presence of mold, or simply suspect its presence, a professional inspection is called for. How Much Mold Requires an Inspection? All Claims USA is based in Boca Raton and is licensed to serve many states. Our wide network of mold damage insurance claim specialists means you’ll have an expert in your home or commercial property that you can trust to give a fair assessment on damage by mold in South Florida. Contact us today for free mold damage inspection in South Florida (Boca Raton, Delray Beach and Lighthouse Point). Your initial consultation is free and comes with no obligation. You’ll speak to a mold damage adjuster who will answer your questions and help you schedule an inspection at a convenient time. We know what to look for and how to find the best settlement possible. We’re rated A+ by the BBB and have great reviews across the web. Our customers are typically surprised to learn how easy we are to work with. Many years of experience have given us insight into the most common customer problems (and even some strange ones). We use this to ease your concerns and help you focus on getting an ideal settlement. contact us online or call 866-900-8811 for FREE MOLD DAMAGE INSPECTION. We may be able to significantly increase your payout.